The main part of this scarf contains a geometrical all-over pattern. 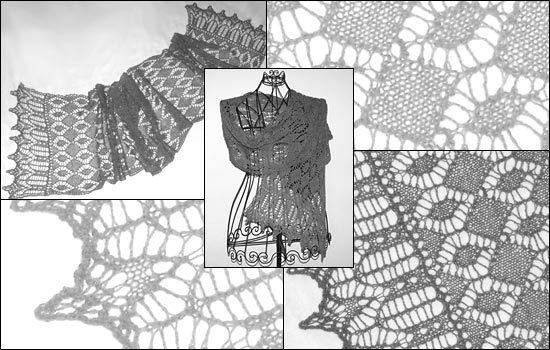 The lacy edgings are knitted directly on both narrow ends of the scarf. No sewing or grafting required.